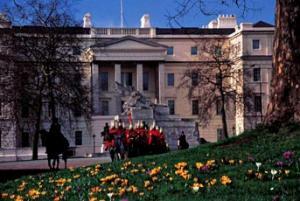 The Lanesborough, a St. Regis Hotel, captures the grace of the Regency period. Ideally located in elegant Knightsbridge, the residence is minutes away from the exclusive shopping of Harrods and Sloane Street.Our 93 superb guest rooms, including 43 lavish suites feature authentic Regency detailing—from the fabulous color choices to the antique furnishings. All guests may enjoy impeccable St. Regis butler Service any time, day or night. The Lanesborough, a St. Regis Hotel, is the connoisseur’s choice for glittering social gatherings, distinguished professional meetings and gracious private entertaining. With six superb venues to choose from, we set a beautiful stage for an unforgettable event. Our staff dedicate themselves tirelessly and discreetly to meet every need and attend to every minute detail, while our chefs prepare delectable menus sure to tantalize the most discriminating palates. We believe this exclusive combination of elegant ambience, unparalleled service and epicurean delights take the art of event planning to a heightened—and memorable—level of sophistication worthy of our guests.